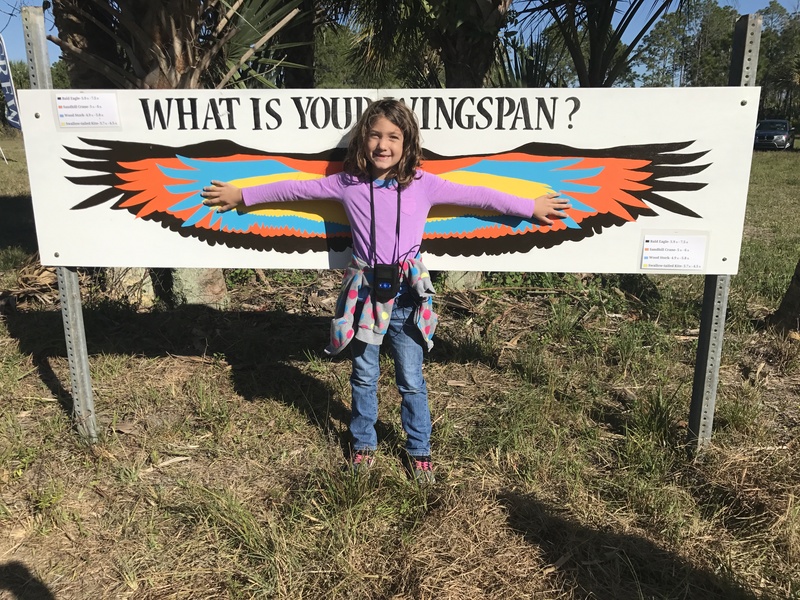 Check your wingspan, show off your jumping abilities, learn about backyard birds and so much more at Amazing Animal Abilities on Saturday, April 14, 2018 from 9 a.m.-2 p.m. at the CREW Cypress Dome Trails! This year’s event will take place in an open field near the trailhead with ample parking for guests. 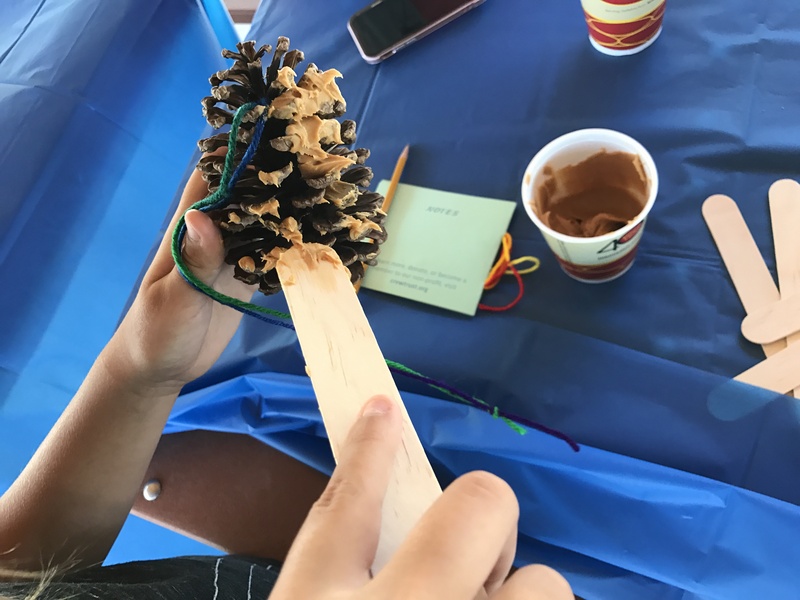 Adults and children can visit 10 stations, experiencing everything from nature-related crafts and geocaching to learning more about local and migratory birds and the wildlife that calls CREW home. Informative volunteer naturalists will lead small groups on guided nature walks, teaching families about the CREW project, identifying flora and fauna and helping establish a connection between guests and nature. Families are encouraged to register for this free event by visiting crewtrust.org. Cost is $5 per family for non-members; families who are members attend for free. 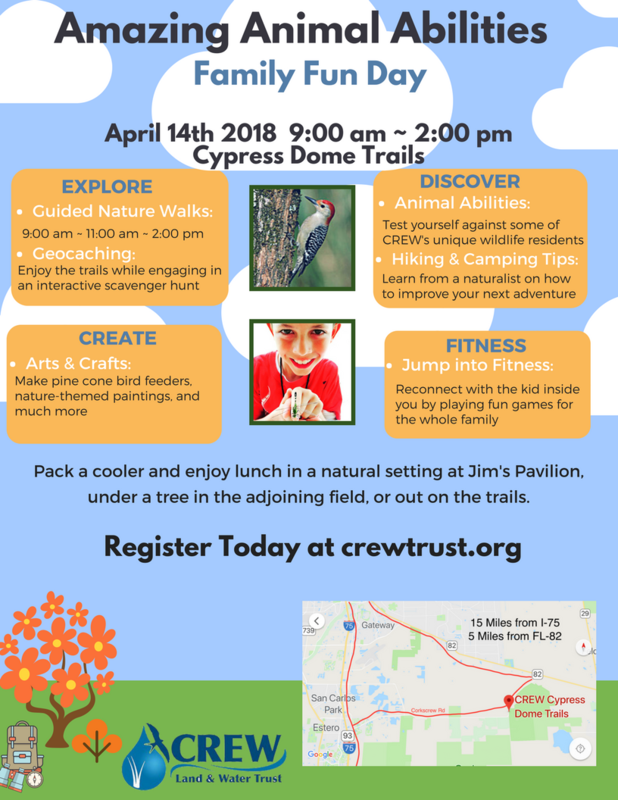 The CREW Cypress Dome Trails offer six miles of well-marked loop trails through pine flatwoods, oak hammocks, wet prairie, popash slough and cypress domes. The trails are flat and mainly composed of grass and sand. There is no running water at the site and a portable bathroom is available for use. The CREW Cypress Dome Trails are located at 3980 Corkscrew Road, Immokalee, just 15 minutes east of I-75 near the Estero/Collier County border.